We all know boots are a staple that can be worn all year round, whether you’re looking for a Chelsea boot or something with a bit of a chunky heel. They can be worn with a pretty sundress during the summer, or with jeans during the winter – no wardrobe is complete without a pair. We gave you our 16 favourite ankle boots back in October, but, seeing as that did have some very pricey picks, we’re now bringing you 21 even better boots all under £40, so there’s no need to break the bank! The best all-season boot is most definitely the Chelsea boot, but sometimes they can get a bit samey, and it’s no fun when you and all your friends are wearing exactly the same shoes. This pair from Boohoo are made a bit different with a lovely snakeskin effect. The Saffy Chelsea boots are available from Boohoo for £22, and, if you’re not a fan of the snakeskin effect, they do also come in plain black, tan or chocolate. Some more Chelsea boots, but these ones are in a really lovely brown that would work so well paired with a pretty floral playsuit in the summer. You can get your hands on a pair from Missguided for £21.99. If you don’t fancy brown, the Patsy Chelsea boots do also come in leopard print, oxblood or black too. 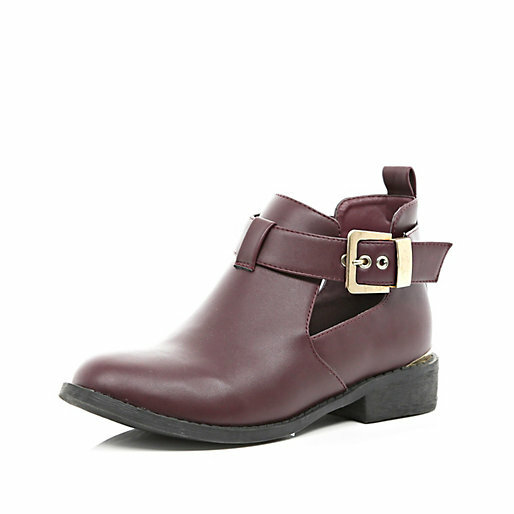 These burgundy boots feature cut-out sides and gold buckle fastenings to add a toughened up look to the ordinary Chelsea boot. Some sparkly socks would go perfectly underneath these boots. 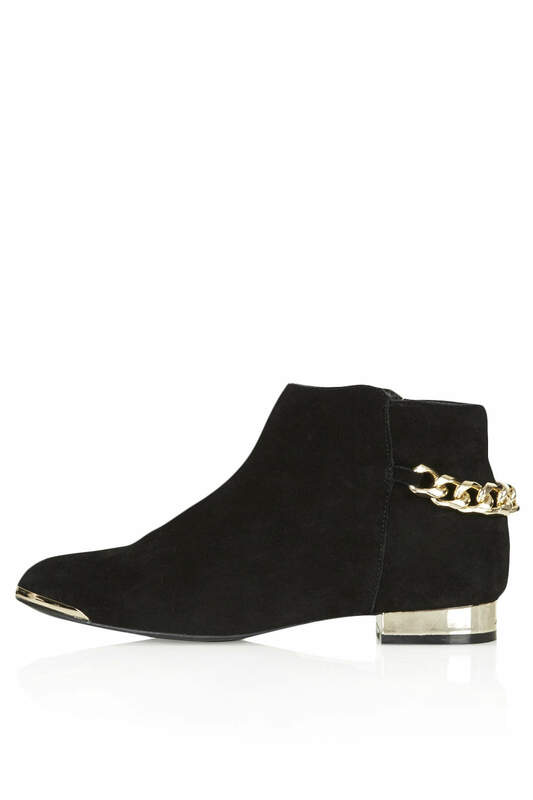 These cut out ankle boots are available from River Island for £38. If you want a bit of heel on your boots, but still want them to look casual, these New Look boots are perfect. 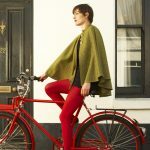 The Oxblood colour is so beautiful too, and is a lot more exciting than plain black. 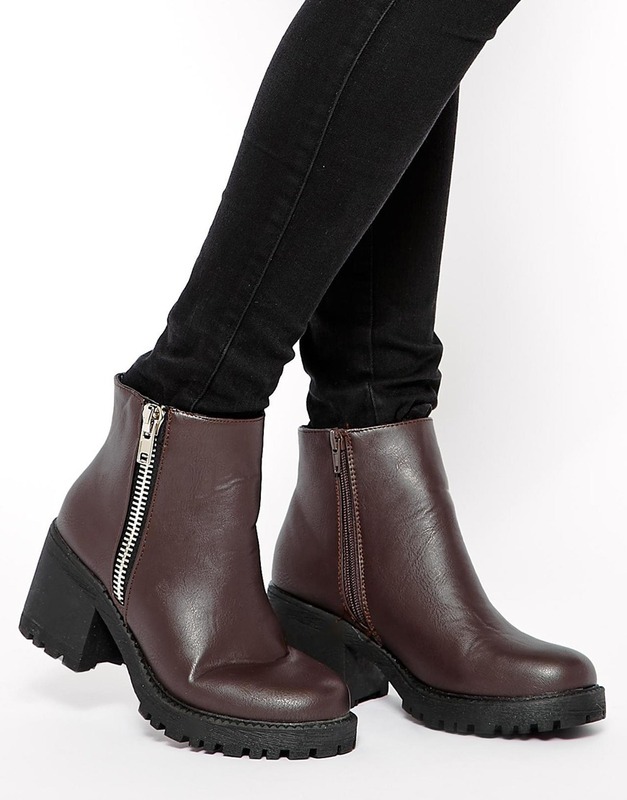 The chunky heeled ankle boots are available on ASOS for £24.99. Chunky Chelsea boots are definitely better for the winter, paired with some leggings or jeans. We love that this ASOS pair take a note out of Dr Marten’s book with its look. You can get your hands on a pair of these chunky Chelsea boots for £32 on ASOS. 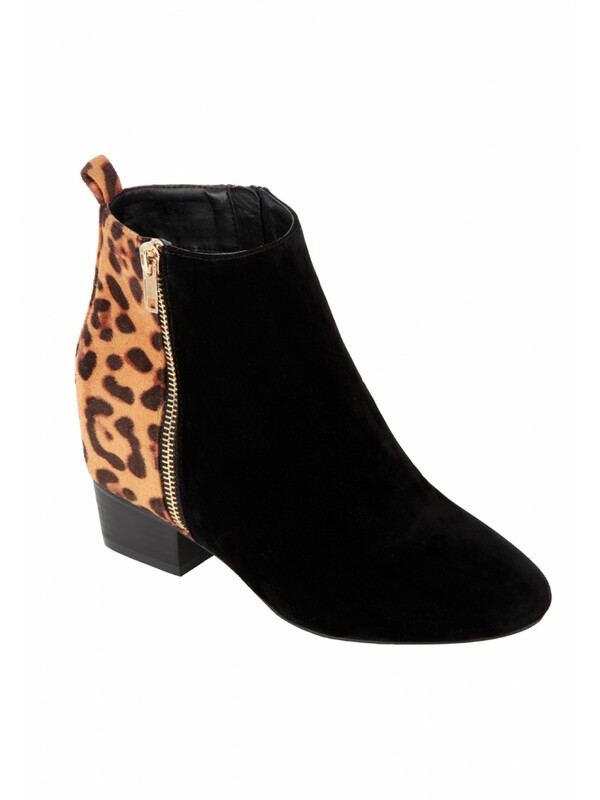 We’re loving these Topshop ankle boots, for their dressed-up feel. The chain and the gold heel just make the boots look that bit more special than your average Chelsea boot. 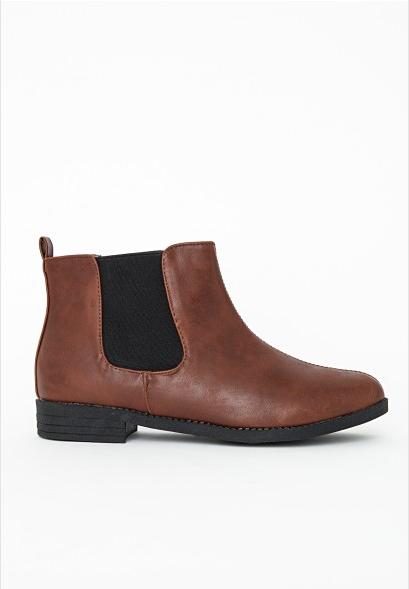 These Chelsea boots are available from Topshop for £30, down from £39, and are also available in red and navy, if you want something a bit different to black. These studded boots have a sort of cowboy feel to them, that makes them look really different to anything else on the market. The snakeskin effect, as well as the buckles, adds so much detail to the boots, that we’re sure people will stop to compliment you on them. 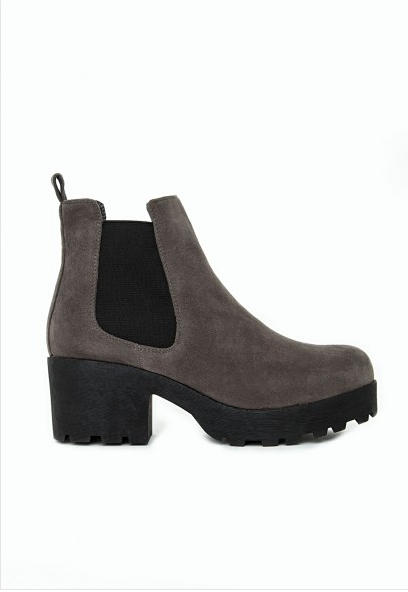 These ankle boots are available from Office for £35, down from £75. If you’re not a fan of the snakeskin effect leather, Office is also selling a plain leather version for £30. Chelsea Boots can be pretty plain, but sometimes that’s exactly what you want from an ankle boot. This pair from Monki are quite ordinary, but look so much more expensive than they actually are, due to the textured leather. 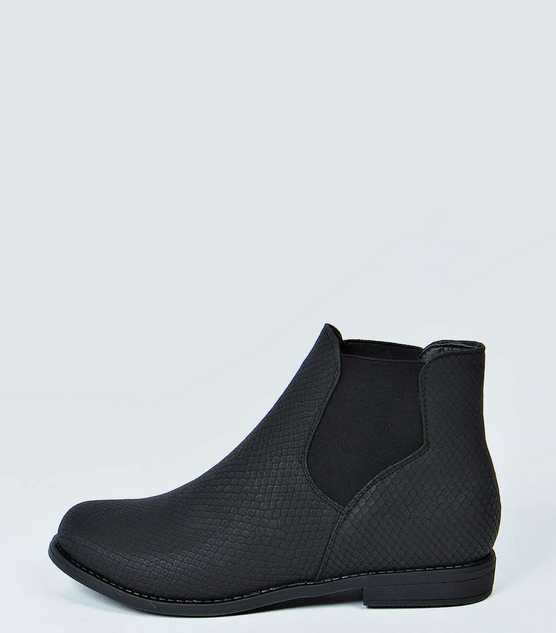 These Chelsea boots are available from Monki for £40. 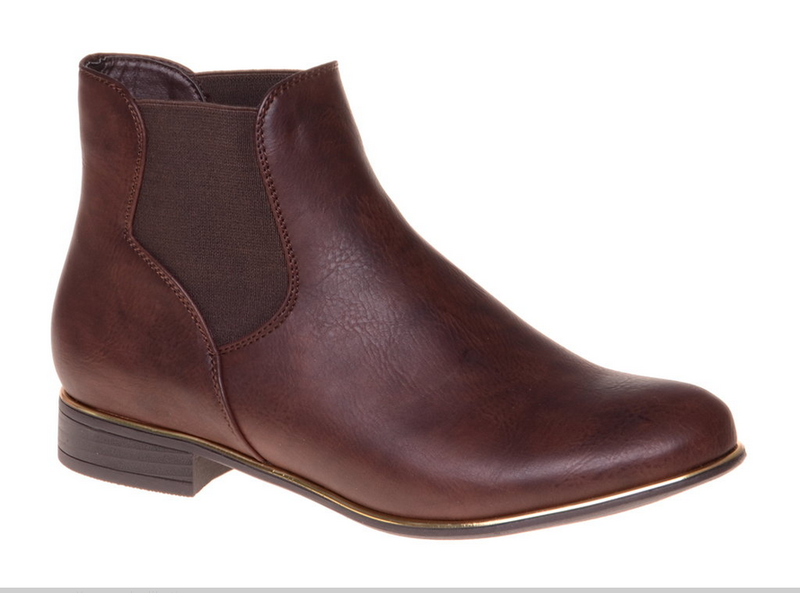 If you like only a bit more detail on your plain Chelsea boots, then this pair from ShoeZone is perfect. 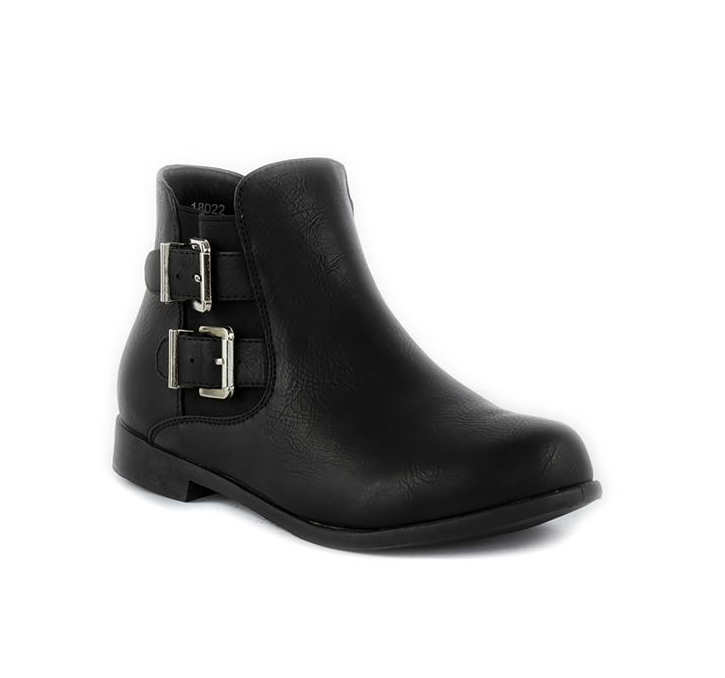 The double buckle adds something extra to an otherwise boring pair of ankle boots. This pair is available from ShoeZone for £14.99. These Chelsea boots are such a lovely colour, and the gold metal trimming makes them look so much more expensive than they actually are. You can get a pair of these Chelsea boots for £28 from Linzi. 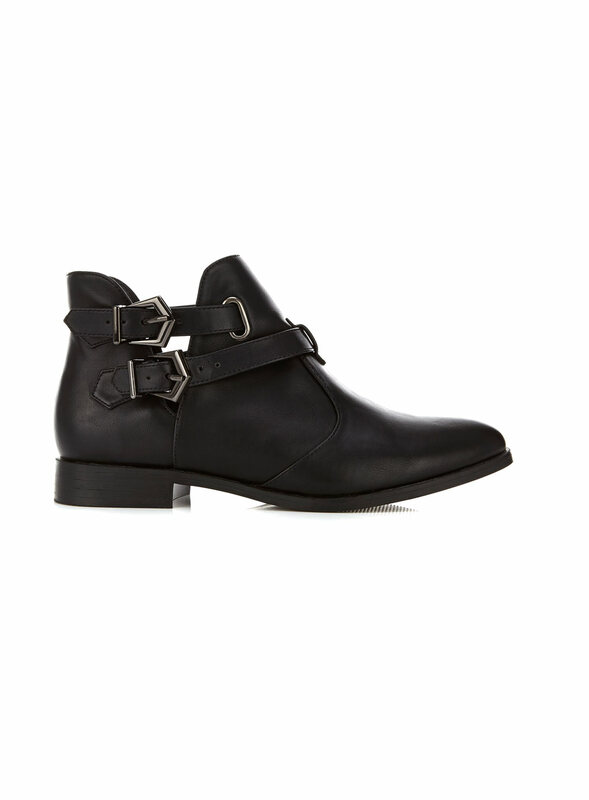 These Miss Selfridge boots are a really cool take on the everyday ankle boot, with their strap and buckle detailing. 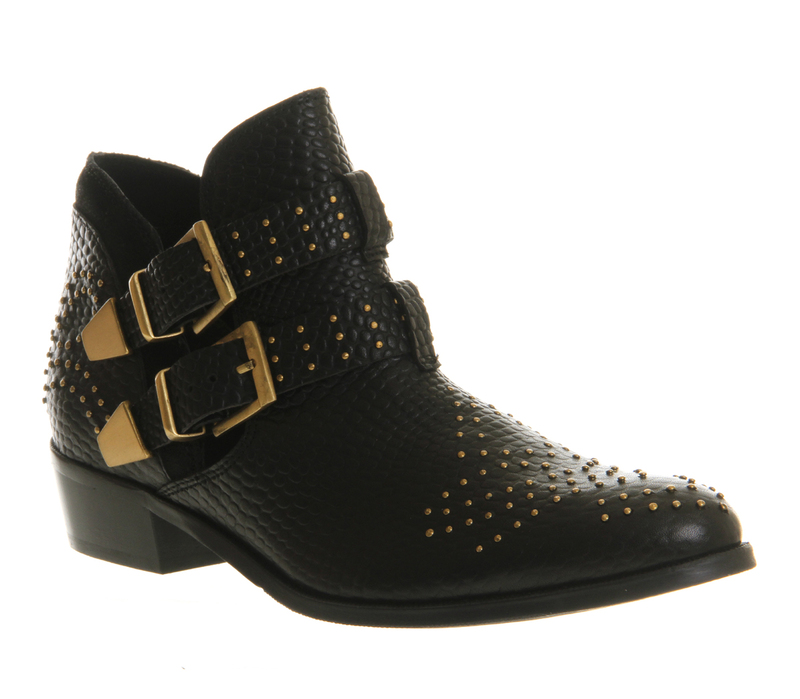 These Arora ankle boots are from Miss Selfridge, down to £27.30 from £39. These ankle boots have a hidden wedge on the inside, but only have a classic low heel on the outside – perfect for shorties who want extra height without the pain! The leopard print design is really eye-catching, and would jazz up any plain black outfit. These boots are available to buy from Peacocks for £26. 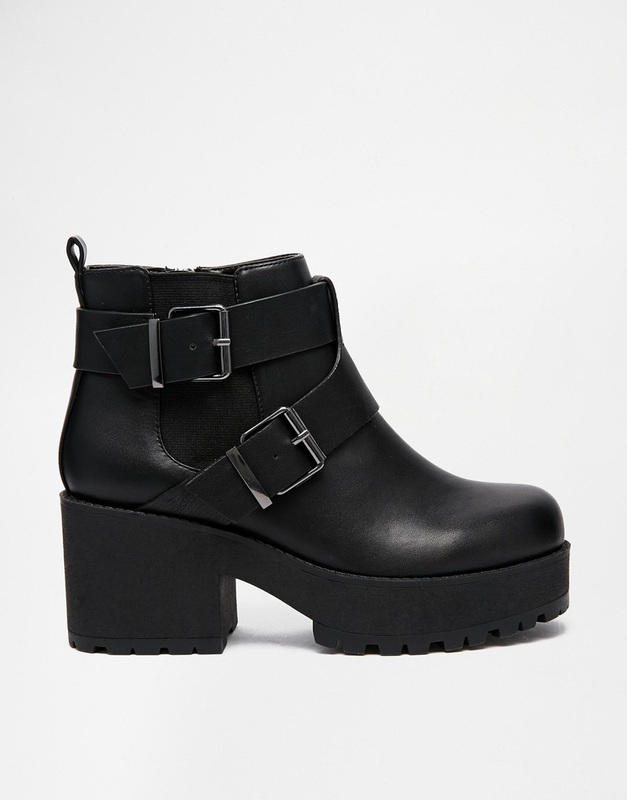 You’ll definitely feel like a biker in these chunky boots from River Island. The buckles and the heel make these boots stand out, and could definitely be worn on a night out without any of the pain of heels (although heels are always amazing too). 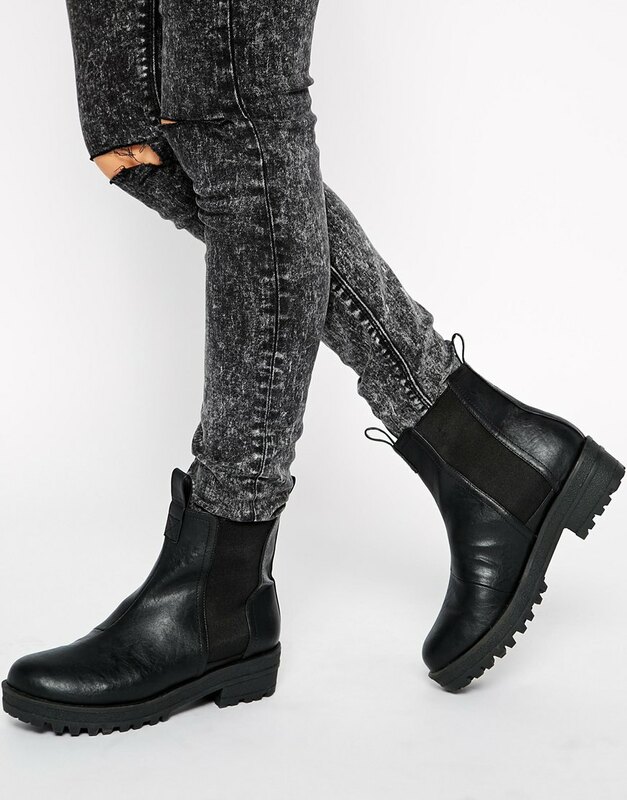 You can get your hands on these biker boots from ASOS for £40. 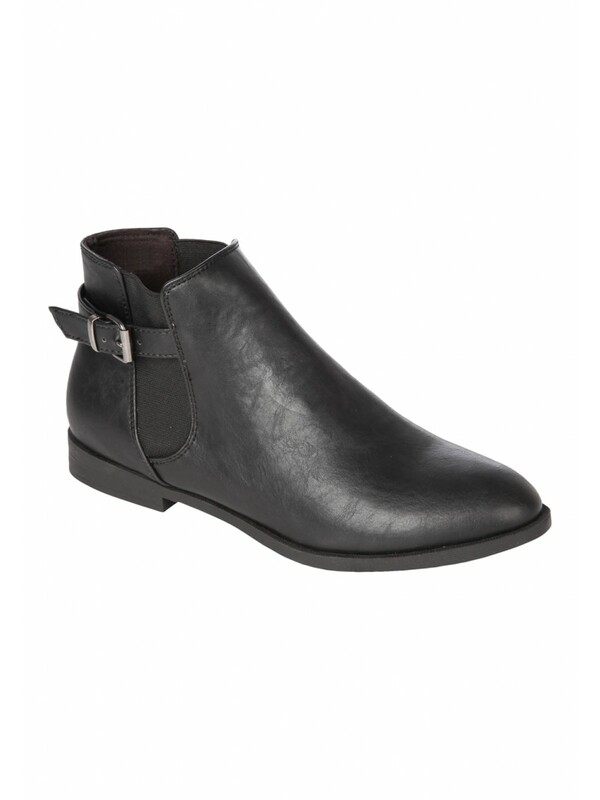 These heeled Chelsea boots are a really great colour that we haven’t seen anywhere else. Day heels are never a bad thing either, especially when you need the extra height. 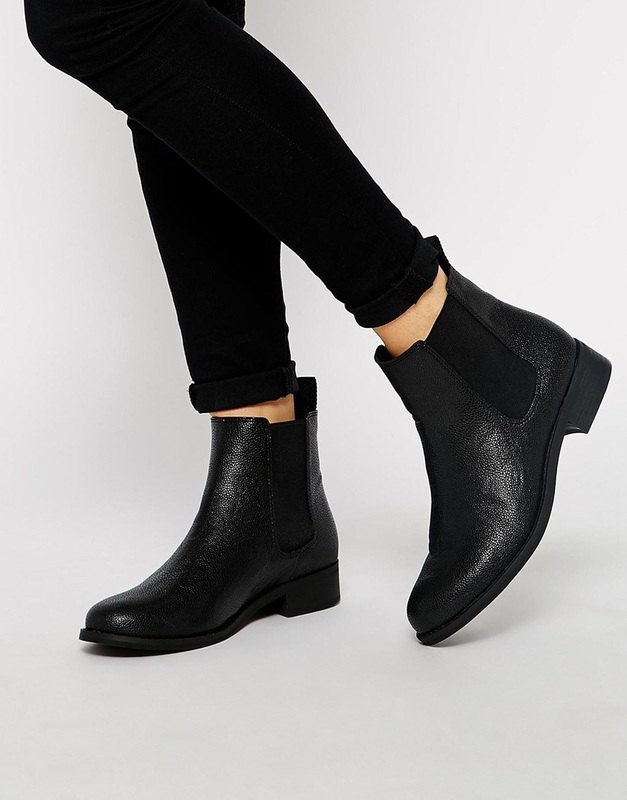 You can get a pair of these heeled Chelsea boots from Missguided for £34.99. These shoes are completely different to anything else on this list, but we love them all the same. Their chunky heel and laces make them great for dressing down a party outfit. You can get a pair from ASOS for £35. 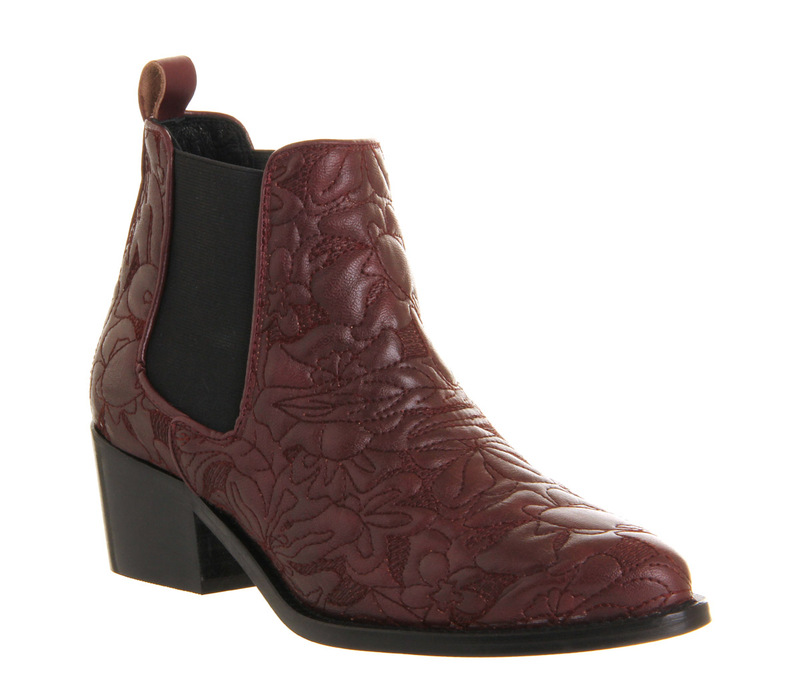 We love the floral detailing on these burgundy cowboy-style Chelsea boots. They’re so unique and pretty, and they’re in the sale with a HUGE discount. What could be better? These boots are available to buy from Office for £30, down from £80. The mocha colour of these ankle boots is so gorgeous and girly, and the tassel detail on the zip is a lovely touch. Just make sure you don’t wear them anywhere too mucky, as this colour is bound to get dirty, and the suede will make the boots a nightmare to clean! You can get a pair from Linzi for £30. These Chelsea boots are really plain and simple, but there’s nothing wrong with that – just pair them with a jazzy dress. You can get your hands on a pair of these Chelsea boots from Peacocks for £22. 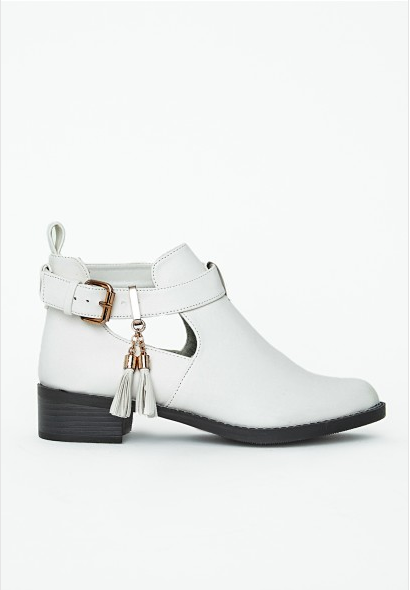 White shoes tend to get a bad rap, but we love these ankle boots from Missguided. The cut-outs and the tassel, along with the colour, make them perfect for the summer, but they can definitely be worn all year round. 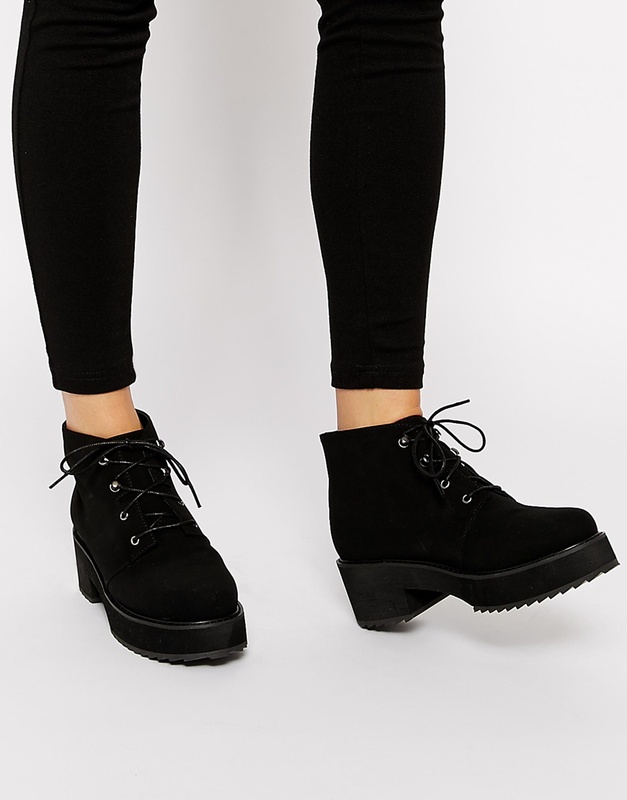 You can get a pair of these boots from Missguided for £25.99. We love how unique these chunky boots are, with their cut outs and buckles everywhere. They’re also available in burgundy and suede, so there’s choice for everyone. These chunky boots are available to buy from Linzi for £35. 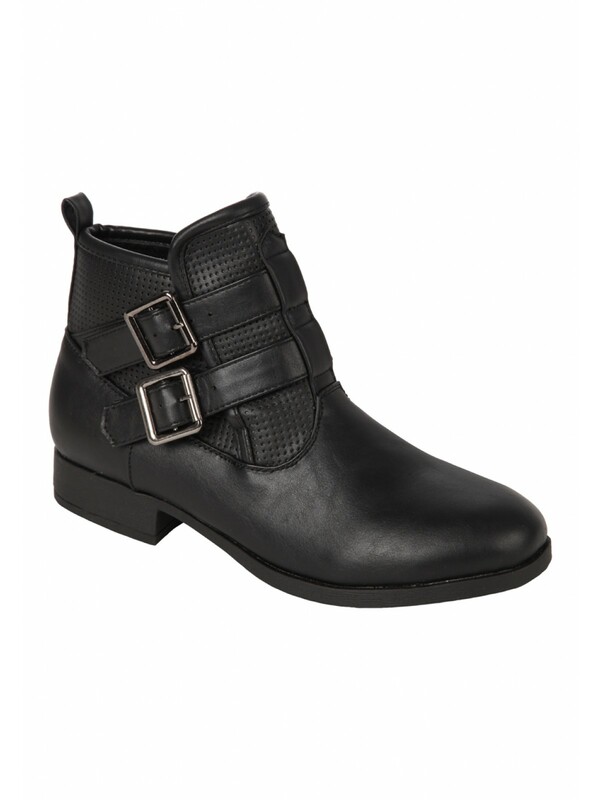 These ankle boots are really simple, but have the added biker effect, giving them a bit more detailing. You can buy a pair from Peacocks for £26.